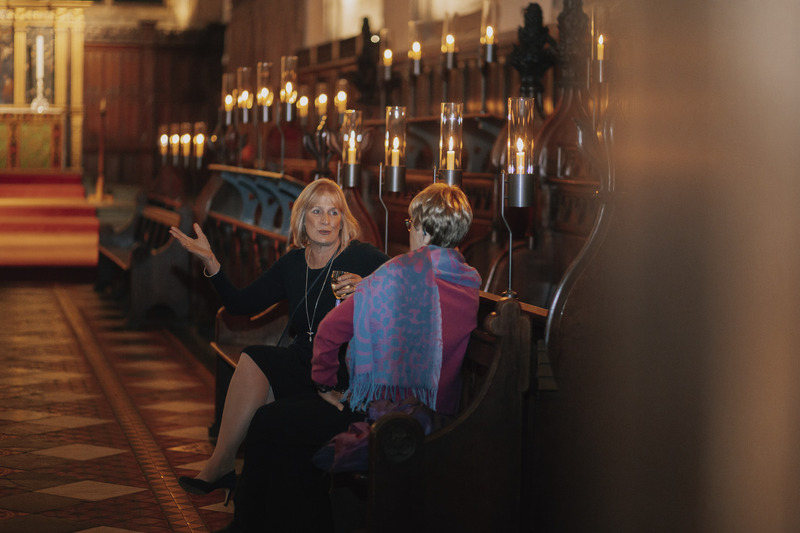 On Wednesday 24 October, we hosted 'Concert by Candlelight' at Oxford’s Merton College Chapel, a special event that celebrated the installation of the new Luke Hughes choir stall lights. 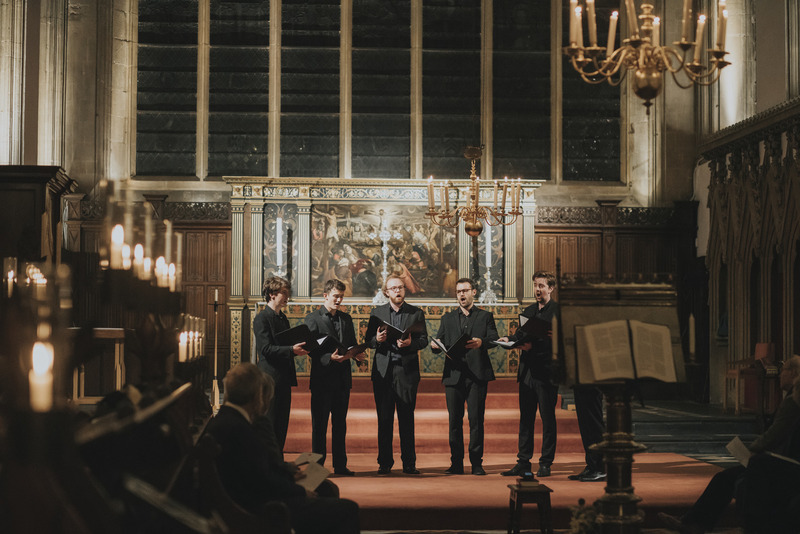 Guests enjoyed a mesmerising a capella recital from The Gesualdo Six, a 'vocal consort comprised of some of the UK’s finest young consort singers, directed by Owain Park'. Click to learn more about our choir stall lights. 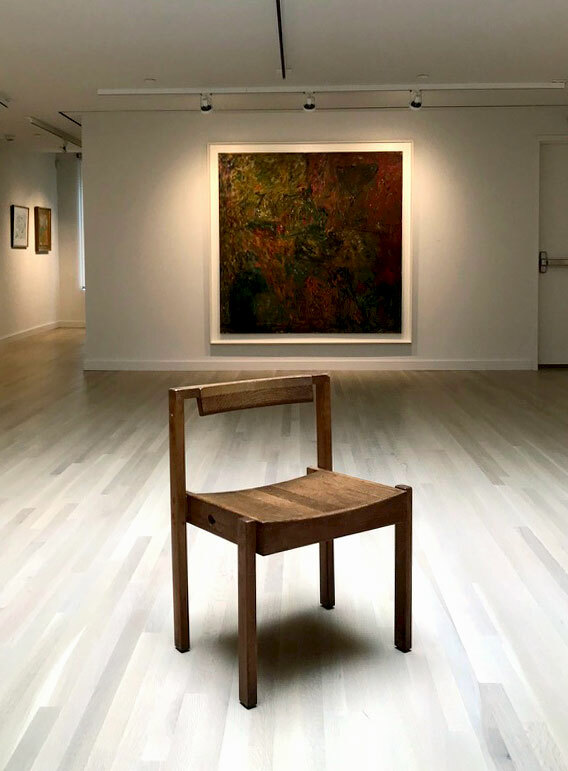 The Milton Resnick and Pat Passlof Foundation, a non-profit organization honouring the work of the Abstract Expressionist painters Milton Resnick (1917-2004) and Pat Passlof (1928-2011), officially opened to the public in Lower Manhattan, New York City on 15 September 2018. The building comprises of exhibition spaces, an events space and Resnick's artist studio. A former synagogue, the building was brought up-to-date through a renovation by Ryall Sheridan Architects. 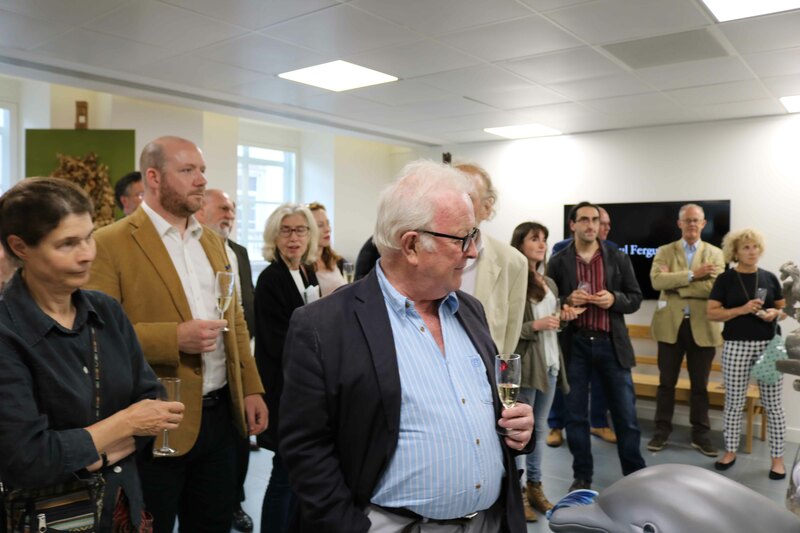 The Luke Hughes team became involved in the project when the foundation required special furniture for the exhibition spaces. 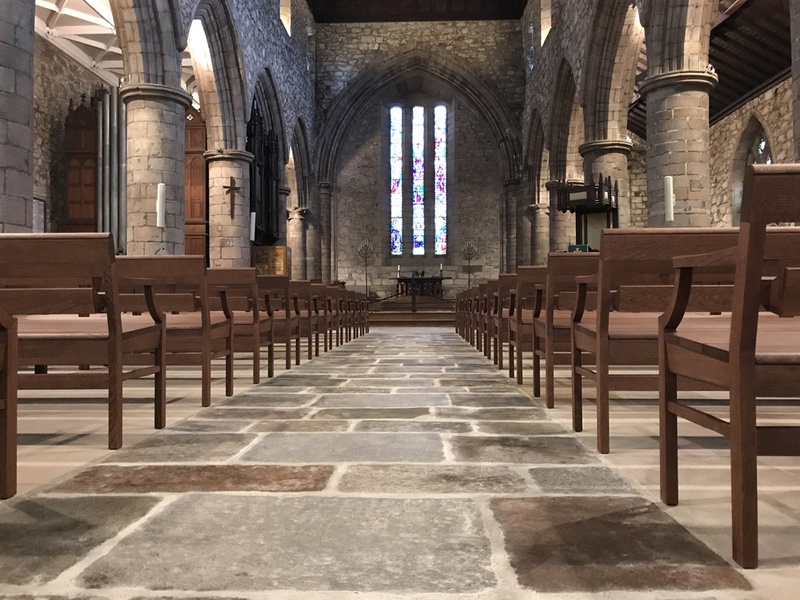 In 2017, we worked on a renovation project at the Tower of London, where we designed and installed bespoke furniture in the historic Chapel of St. John. The chapel's original Coventry chairs were kept and refurbished by our specialist team. The Coventry chairs now sit in the exhibition spaces of the foundation, adding a compelling contrast to the modern aesthetic. 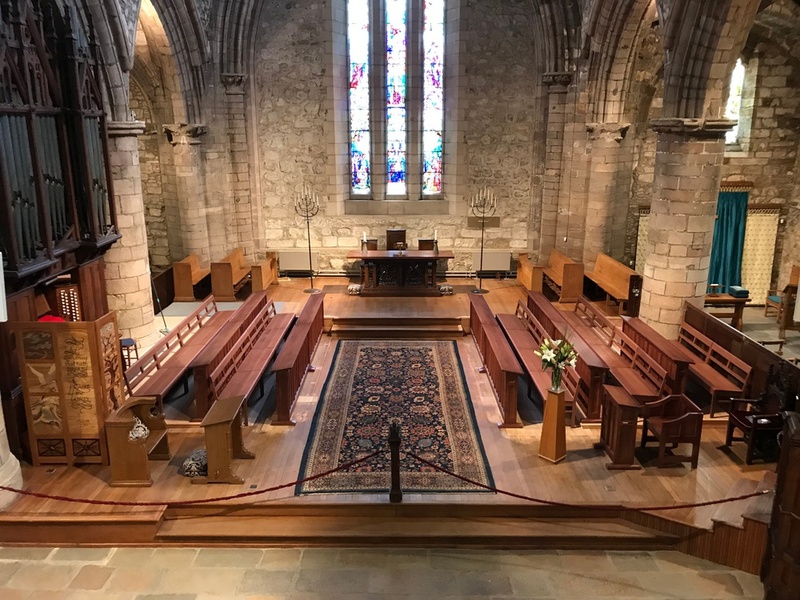 The Luke Hughes team has just installed new furniture at the recently refurbished St Machar's Cathedral in Aberdeen, Scotland, of which includes a set of Charterhouse benches and bespoke choir frontals in solid European oak. Originally a Norman cathedral dating back to 1131, the building has gone through many transformations up until today. It is an example of a fortified kirk, a term describing a building which was a cathedral prior to the Reformation. 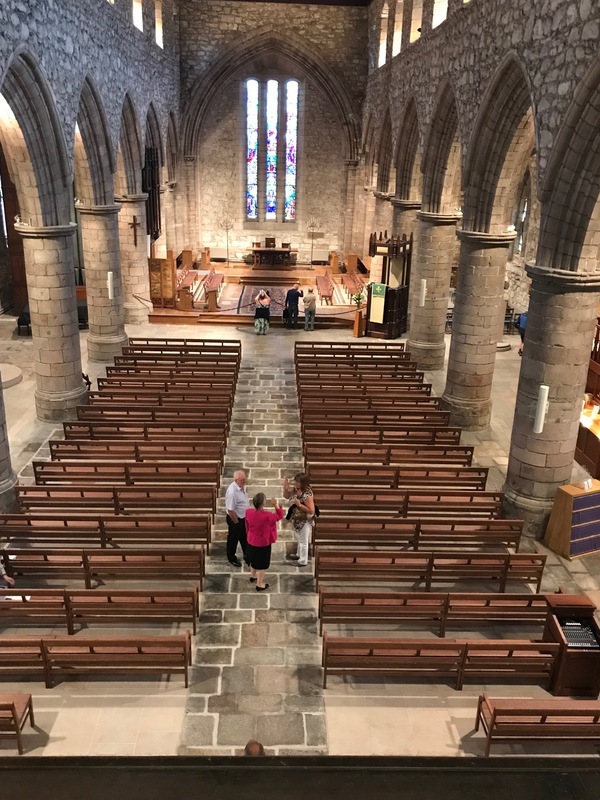 The latest refurbishment included new flooring in the nave and work in the chancel. 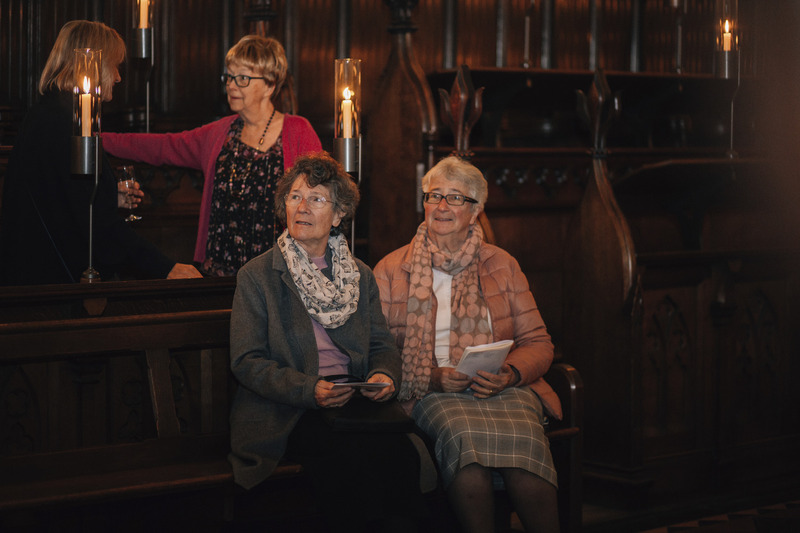 Learn more about our previous Places of Worship projects. 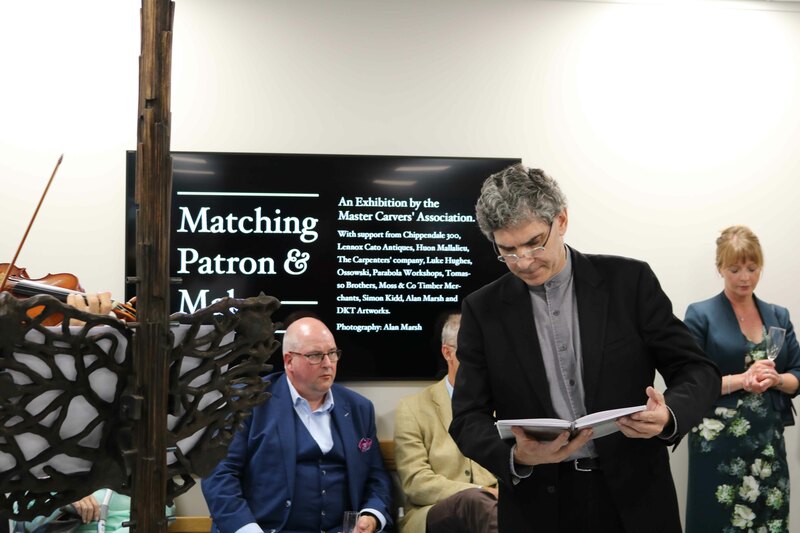 On Thursday 7 June 2018, we opened the new exhibition 'Matching Patron and Maker' with the Master Carvers' Association. Featuring seven new music stands masterfully designed and made by members, the exhibition celebrates 300 years of Thomas Chippendale, Britain’s foremost furniture designer and maker. Chippendale established his famous Covent Garden workshop in the 1750s, not far from where we are now based. 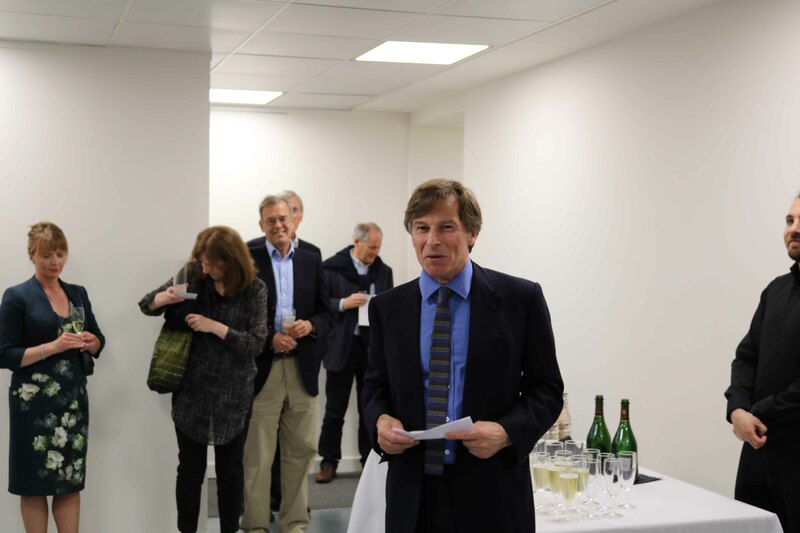 His exceptional work continues to shape the identity of craft and design in the capital and beyond. Like Chippendale’s furniture, the music stands are both functional and sculptural objects. They are shown alongside a selection of additional members carvings. 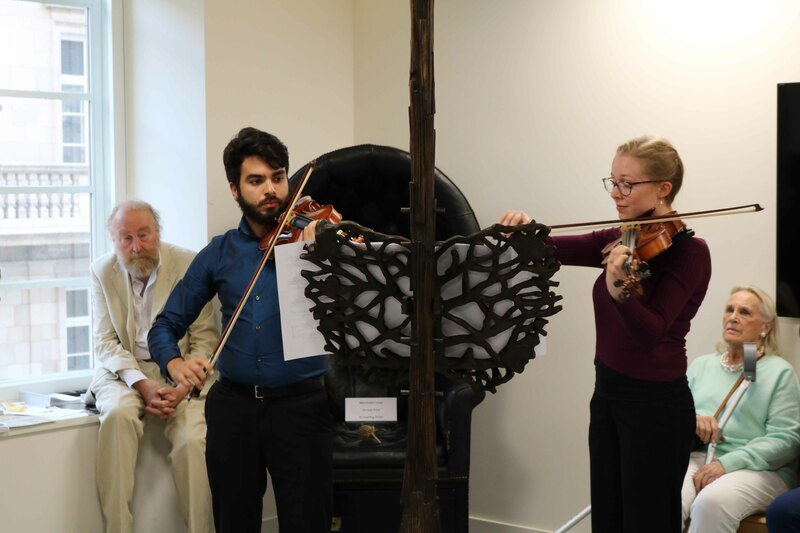 During the exhibition, we hosted two evening viewings where guests enjoyed a recital from music troupe 'ArchiCantuor: Singing for the Architectural Heritage'. The recital included a chamber poem entitled 'Quartet' written by the acclaimed Dr Paul Munden. 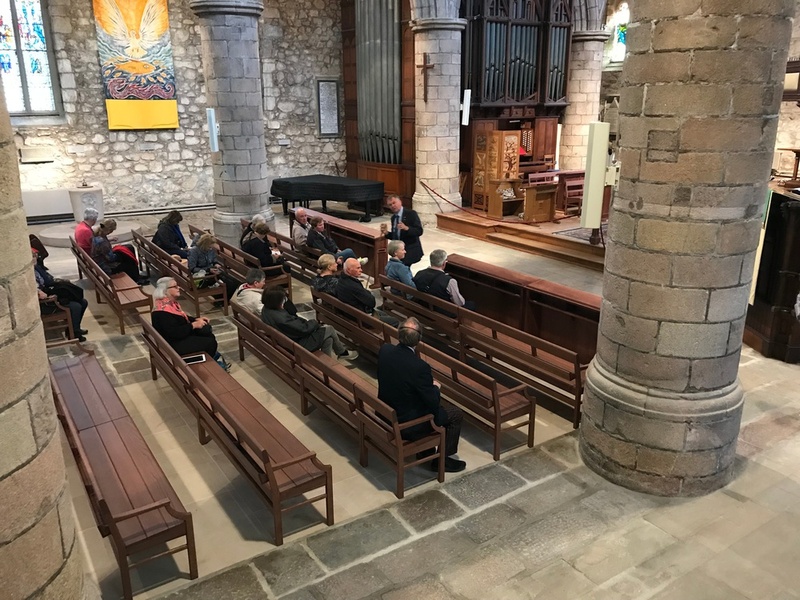 The recital commemorated the occasion by reflecting on the designs of the seven music stands, combining the themes of earth, water, fire and air with the muses and myths represented in the stands. 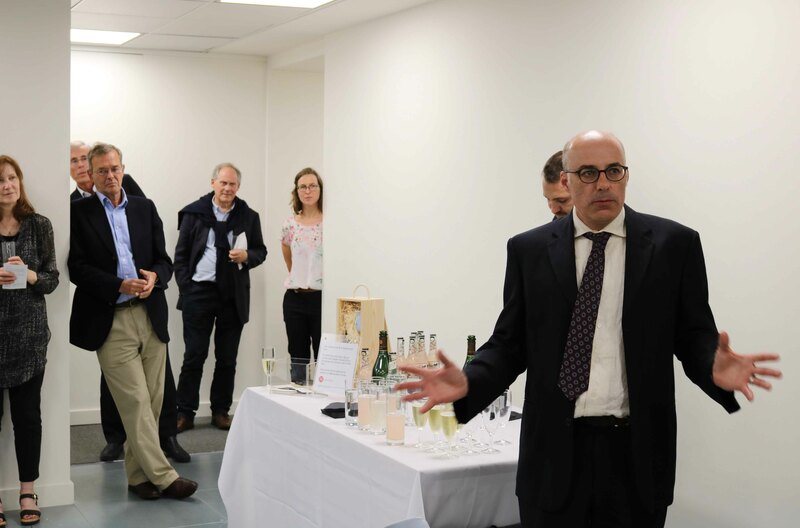 By popular demand, the exhibition dates have been extended to Friday 15 June 2018 at Luke Hughes. It then continues at the Ossowski Gallery, Burton Constable Hall and the Leeds International Festival. Find out more. Click here to view all event photos. The Master Carvers’ Association is pleased to present ‘Matching Patron & Maker’ – a new exhibition celebrating the life, work and lasting legacy of Thomas Chippendale, Britain’s foremost furniture designer and maker. Chippendale was born on the 5th of June 1718, and this year his tercentenary is being celebrated around the country. Since establishing his famous Covent Garden workshop in the 1750s, his exceptional work continues to shape the identity of craft and design in the capital and beyond. A suite of seven music stands have been masterfully designed, carved and made for the exhibition and will be put to use for recital performances on selected evenings during the London Festival of Architecture 2018. To register interest or book an out of hours appointment get in touch via patronandmaker@gmail.com. Stay up to date by following 'Matching Patron and Maker’ on Instagram and Twitter. Alan Marsh, DKT Artworks, The Carpenters’ Company,Chippendale 300, Huon Mallalieu, Lennox Cato Antiques, Luke Hughes, Moss & Co Timber Merchants, Ossowski, Parabola Workshops, Simon Kidd and Tomasso Brothers.